Several EU fleets fish in the SW-Atlantic statistical area 41, an area of a total of 17.65 million km2. The main target species in this area are hake, squid, rock-cod and southern-cod, with Spain being the dominant EU fleet, targeting the area with about 19 vessels. Spain’s catches in the SW-Atlantic have been gradually increasing over the last decade, from being just under 26,000 tonnes in 2006 to 200,000 tonnes in 2014. Other EU nations fishing in this area are Portugal, Estonia and France. In 2013, the catches deriving from the SW Atlantic amounted to 2.6% of total EU catches. 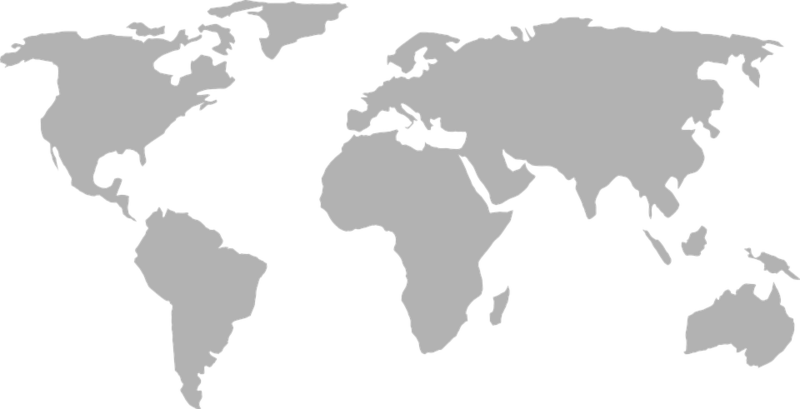 This area is also targeted by the coastal states of Argentina, Brazil and Uruguay, as well as other distant water fleets, mainly China, Taiwan and South Korea. The SW-Atlantic has no Regional Fisheries Management Organisation in place with legal competence to regulate demersal or deep water fisheries, but falls under the convention area of ICCAT and CCBT (Commission for the Conservation of Bluefin Tuna). However, there are no reports of tuna catches from the area. In the absence of a (non-tuna) Regional Fisheries Management Organisation, and following UN General Assembly (UNGA) Resolutions on sustainable fisheries and the FAO Deepwater Guidelines, the Spanish Institute of Oceanography initiated a series of research surveys in 2007 to identify Vulnerable Marine Ecosystems (VMEs) in the international waters of SW Atlantic. Following upon that research, which resulted in seafloor and VME mapping of an area of 59,105 km2, Spain closed nine areas to bottom fishing in 2011 for the protection of existing VMEs. These closures where further accepted by the European industry, thus applying to all EU fisheries in SW-Atlantic. Bottom trawling by the EU fleet is further restricted to the existing bottom trawling footprint, which leaves two areas open for fishing that have been subject to bottom fishing for 25 years. While the European industry operating in the area accepted these conditions, other fishing fleets of other nationalities, mainly Asian countries (China, Taiwan and South Korea) have not adopted any equivalent conservation measures for the area. This means that fishing in the international waters of SW-Atlantic is no longer a level playing field, as well as the main objectives of these area closures will not be achieved. The Long Distance Advisory Council expressed their concerns on this issue in May 2016 to DG Mare, requesting the EU to “demand at the relevant international fora (UN, FAO), as well as in commercial negotiations and bilateral fishing agreements that it might reach with affected third countries, that the implementation of UNGA Resolution 61/105 be extended to all fleets fishing in the South West Atlantic in order to promote good international governance of oceans and seas and ensure a level playing field for EU fleets and foreign fleets alike”. FarFish will be in a unique position to influence this complex issue as the project has key players involved in this scenario. Therefore, one of the main objectives of FarFish in this case study will be to initiate a dialogue between key representatives operating in the area. 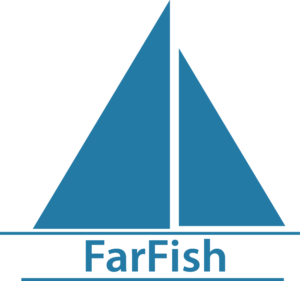 FarFish has representatives of the EU fleet (Spain and Portugal), the two coastal states with fishing interest in the area (Argentina and Brazil), China (including a member of Distant Water Fishing Consultants in China), as well as FAO. These participants, which are either FarFish Partners or members of the FarFish reference group, range from being industrial representatives to academics and research institutes, but all share the aim of making fisheries in international waters sustainable and profitable. Although FarFish is fully aware that settling this important issue altogether is beyond the scope of the project, initiating a dialogue on this issue based on the Responsive Fisheries Management System approach could result in identification of common objectives and outcome targets. Reaching such common grounds could be a major first step towards creating common management plan recommendations and could therefore serve as an important foundation for further work and negotiations between the fleets operating in the area. FarFish will use the experience and results from this work to suggest management improvements and provide policy recommendations relating to fishing in international waters in regions not subject to Regional Fisheries Management Organisations. FarFish will further address management challenges facing the EU fleet in this area by developing management tools and management plans for the EU fleet, building on the extensive research conducted by Spain in the area and other available data sources. FarFish will conduct value chain analysis for the EU fleet fisheries in the area and suggest improvements. The management of international waters in South East Atlantic is subject to a non-tuna Regional Fisheries Management Organisations, the South East Atlantic Fisheries Organisation (SEAFO), of which the EU is a Contracting Party. Target species in the SEAFO Convention Area (CA) include alfonsino, horse mackerel, mackerel, orange roughy, skates, sharks, deep-sea crab, hake, and toothfish. SEAFO is a relatively young Regional Fisheries Management Organisation, with the Convention entering into force in 2003. SEAFO has an active Scientific Committee, but due to scarcity of scientific data, Total Allowable Catch advice are usually not based on sufficient data. Although the EU fleet activity has been limited in this area over the past few years, the EU has been a Contracting Party from the beginning and has, now most recently in 2015, expressed its willingness to work on strengthening the Regional Fisheries Management Organisations performance in terms of scientific knowledge, monitoring, compliance and enforcement . The work in this case study will therefore have interesting angle as FarFish will be able to explore different roles of the EU in Regional Fisheries Management Organisations. In particular, and in relation to the relatively low fishing effort in the SEAFO area, FarFish will explore how to best deal with such a data-poor situation when there is a need to maintain an international framework for both future use and protection. FarFish will focus on these main issues in its work in the SEAFO area, that is, to advance biological knowledge in the data-poor Convention Area, and improve monitoring, compliance and enforcement. In addition to using biological data collected by SEAFO, FarFish will build on the scientific work already conducted through the Nansen programme, which aims to “provide the fisheries research institutions and management administrations in the participating countries with knowledge on their ecosystems for their use in planning and monitoring”. By improving the quality of logbook data from the area and its submission, and by exploring the feasibility for a self-sampling programme, FarFish will seek to improve data quality and quantity. FarFish will also analyse current stock assessment methods, suggest improvements and develop new management tools that can be used in this relatively data-poor environment. By working with the Spanish and Portuguese FarFish Partners and reference group members as operators in the Responsive Fisheries Management System framework, FarFish will create management plan recommendations aimed at the EU fleet, where main data needs and capacity for improvements will be evaluated, both in terms of resource management (data, monitoring, compliance, etc.) and markets. EU nations targeting Cape Verde under the current Sustainable Fisheries Partnership Agreements are Spain, France and Portugal and EU companies are also heavily involved in processing in the islands. Cape Verde is a contracting party to ICCAT, thus the management and conservation of tuna and tuna-like species is subject to ICCAT. Most fish for the domestic market in Cape Verde is landed fresh and sold in the municipal markets while exports consist of frozen whole and processed seafood. In 2014, whole frozen fish accounted for 44.5% of the total value of all exports while processed marine products accounted for 40%. A total of 78.8% of the exports were to Europe. Approximately 9,500 people (5% of the working population), are employed in the fisheries sector in Cape Verde. The main problems identified in the Cape Verde Fisheries Management Plan (PGRP) in relation to the foreign fleet fisheries in Cape Verde are non-compliance by foreign vessels, insufficient control and monitoring and competition with the national commercial fleet(s). Measures that have been recommended in order to improve monitoring and inspection include training of inspectors and fisheries observers, research on the impact of the foreign fleet (e.g. by-catches, seabird mortality), scientific research on the main species and training programmes for improved management. Main problems identified by the national fisheries management plans in relation to the national pole and line tuna fishery in Cape Verde is overexploitation, insufficient monitoring and control of the fishery, insufficient management measures, competition with foreign fleet, high dependence on live bait, lack of support facilities on land, poor state of vessels, reduced financial capacity and marketing and economic difficulties (low sales prices, transport to markets). FarFish will address the management issues identified in Cape Verde by developing and implementing solutions in line with measures of improvements described in the PGRP. FarFish will, in consultation with ICCAT, advance knowledge of the foreign fleet fisheries, both from a biological and socio-economic perspective, by collating existing biological data, establishing an on-board sampling program, analysing stock assessment methods and evaluate and map existing value chains and infrastructure. This will provide the basis and understanding needed to make suggestions for improvements, developing new, effective fisheries management tools and management plan recommendations. By increasing stakeholder involvement and bringing all parties to the table through the application of Responsive Fisheries Management System, FarFish will not only develop management plan recommendations that aim to effectively address problems of overfishing, overcapacity and any potential hostility between the EU and local fleet, but will also contribute to improved data collection, monitoring and compliance. Fishing is crucial to the national economy of Senegal with more than 400,000 tonnes landed annually. The Sustainable Fisheries Partnership Agreements contributes significantly to the state budget of Senegal, to sectoral and fleet development, alongside sustainable stock management, and catch for export. The Sustainable Fisheries Partnership Agreement is further seen as being especially important for strengthening the fisheries governance in the West African region. Senegal is a contracting party to ICCAT, thus the management and conservation of tuna and tuna-like species is subject to ICCAT. Majority of fish exports from Senegal goes to the EU. These exports are a vital source of hard currency to the country and the fisheries sectors, and associated activities, are estimated to provide more than 600,000 jobs in the country. A number of challenges have been identified in the Senegalese fishery and the EU has committed to invest €750,000 a year towards the development of the local fisheries sector, with particular reference to improving surveillance, combatting illegal fishing, promoting scientific cooperation, and aiding conservation and rehabilitation of spawning areas – all of which have been identified as problems specific to the fishery. The FarFish work in Senegal will focus on the main challenges related to the EU fisheries in the area, including activities which will seek to advance biological knowledge of main target species and the biological, ecological and socio-economic impacts of these fisheries. This will be achieved through data collection and harmonization, evaluation of current stock assessment methods and suggestions for improvements, analysis on value chains and fisheries governance structure. By creating new management plan recommendations in line with the Responsive Fisheries Management System approach, FarFish will seek to improve monitoring, control and surveillance in the area, in addition to improving regional governance by bringing relevant stakeholders to the table. The Sustainable Fisheries Partnership Agreement between the EU and Mauritania covers several types of fisheries, including tuna, shrimp, demersal and small pelagic species. During the last twenty years, fleets from 25 different nations were operating in the pelagic fishery in the Mauritanian EEZ. The main target species in this fishery is horse mackerel, followed by mackerel, sardine and sardinellas, with the most dominating countries being Russia, Ukraine, the Netherlands and more recently, Belize. Octopus is the most important demersal species in Mauritanian waters and its high commercial value and relative ease of exploitation by the artisanal segment is causing a rapid industrial development of foreign and domestic fleets. In 2012, a peak production of 17,420 tonnes of octopus was reached, 25% of which was taken by the EU fleet. Due to the large number of fleets targeting octopus, the stock is considered overexploited, with fishing mortality currently exceeding FMSY. Another targeted demersal species is black hake, which is mainly exploited by European trawlers and long-liners. Deep-sea tuna fishery in Mauritanian waters is conducted by a number of foreign fleets, such as the EU fleet, Japanese and Senegalese. None of those fleets land their catches in Mauritania. As Mauritania is a contracting party to ICCAT, the tuna fishery is subject to ICCAT catch and effort limits. Some of the main species targeted by the EU fleet in these waters are considered overfished. Due to this overexploitation, the number of fleets participating in Mauritanian fisheries (foreign and local) and the irregularity in the activities of these vessels, improved monitoring of catches, effort and catch sizes is needed. FarFish will be able to contribute to solving this overfishing and overcapacity problem in Mauritania by engaging stakeholders in the process of evaluating existing management tools and stock assessment methods and formulating new management tools and RFMS-based management plan recommendations. The management plan recommendations will address these problems, in addition to any other problems highlighted by the Mauritanian fisheries management authorities and the EU fleet operating in the area, with the aim of increasing the long-term profitability of both parties. The management plan recommendations will be developed based on biological and socio-economic data collected within FarFish. Mauritania has poorly developed value chains for seafood products, minimal amount is landed in local ports and processing facilities are limited, all due to insufficient infrastructure and lack of investments therein. FarFish will put focus on this issue, and will map and analyse the value chains connected to the EU fisheries and their infrastructure, and suggest improvements. A cost-benefit analysis for EU-fleet investments in Mauritania will also be conducted. Seychelles is amongst the most fisheries-dependent countries in the world and the countries’ tuna industry is one of the main pillars of that industry. Gross income from the sector is mainly derived from foreign fishing vessel expenditure on goods and services, as well as through payments and financial compensation. The EU has considerable interest in this fishery, both through its existing Sustainable Fisheries Partnership Agreements and tuna processing in the area. Spanish vessels are the major EU player in the Seychelles tuna fishery, with more vessels operating in the fishery than Seychelles themselves. Seychelles is a contracting party to the Regional Fisheries Management Organisations Indian Ocean Tuna Commission (IOTC), thus the tuna fishery in Seychelles is subjected to IOTC catch and effort limits, of which the EU is also a contracting party. EU vessels land the majority of their catches in Seychelles (92% of the Spanish catch and 82% of the French catch). Approximately 20% is canned in Seychelles and the rest is transhipped to other countries, of which 12.5% goes directly to the EU for processing or retail trade. Canned tuna is the main good exported by the Seychelles and is mainly targeted for the European market. Given the importance of tuna exports for Seychelles, and the EU’s dependence on tuna fisheries and seafood products deriving from the Seychelles, sustaining a good and effective relationship between the EU and Seychelles is of utmost importance. This includes maintaining sustainable management system for the tuna fishery, a responsible Sustainable Fisheries Partnership Agreement, as well as an efficient value chain and infrastructure, where responsibilities of all parties are clearly defined. By working together with the Seychelles Fishing Authority (a FarFish partner), IOTC (participating in FarFish reference group) and relevant EU operators in Seychelles, such as OPAGAC (Organisation of Associated Producers of Large Tuna Freezer Vessels, participating in FarFish reference group), FarFish will develop effective management tools and plan recommendations for the EU Seychelles tuna fishery in collaboration with stakeholders. These management plan recommendations will be based on existing and new biological, ecological, stock-assessment and socio-economic data which will be collected within FarFish with input from IOTC and Seychelles Fishing Authority, and together with value chain and infrastructure analysis and suggestions for improvements, FarFish will make its contribution to a stable and long-lasting cooperation on tuna fisheries and processing between Seychelles and the EU.